It was less than a year ago that the landmark family leave act, or the Universal Paid Leave Amendment Act of 2016, was passed. Now, the D.C. Council is at odds over whether the act needs an overhaul already. What is the Universal Paid Leave Amendment Act (UPLA) of 2016? The new law guarantees eight weeks of paid leave to new parents, six weeks to care for an ailing family member, and two weeks in the event of a personal illness. The act is funded by a 0.62% payroll tax, which is expected to raise $246 million a year. A new government agency would be established to administer the benefits. Rather than come directly from the employer, employee leave claimed under the act would come out of a citywide pool. The city would reimburse private sector employees for 90% of their first $900 of weekly pay and 50% percent of their remaining weekly pay, with a cap of $1,000/week. The UPLA became law on April 7, 2017, and applies to private sector employees in the Washington D.C. area. It is scheduled to start dispersing benefits in 2020. Under the law that already passed, every employer pays the modest tax into the same fund, which helps level the playing field since small and medium sized companies are said to make up 99% of district employers. The business lobby, who primarily represents large employers, objected to the law prior to it being passed, and now they want to gut it entirely. 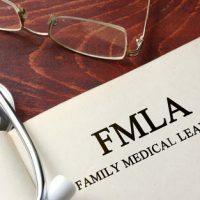 According to the Washington Post, the business lobby wants each company to pay for their own employees’ family and medical leaves. This means large corporations may not feel much of a pinch, but it would be rather catastrophic for some small and medium sized companies. Employers would have to form their own individual insurance funds that would have to cover the cost of their employees’ specific leaves. In addition to the financial burden it places on smaller and mid-sized companies, it also has the potential to create an administrative nightmare. Rather than file a claim with a specific government agency as the law stands now, employees would be filing claims for benefits with their employer directly. WTOP relayed details of additional discussions held during the D.C. City Council meeting on October 11, which included additional suggestions for handling the law. One suggestion was a public insurance program that would fund benefits through a fee levied against employers and employees both. A “hybrid” option mentioned included the idea of smaller businesses participating in a public fund while larger businesses privately fund the benefits directly. Another change the business lobby is suggesting is to base applicable benefits on past work experience rather than tenure. Let our labor & employment lawyers at Tobin, O’Connor & Ewing handle all your employment law needs. We work extensively within the labor industry and can tackle a variety of legal issues. Please call Tobin, O’Connor & Ewing at 202-362-5900 or online to schedule a consultation. We are conveniently located inside the Chevy Chase Pavilion, making it easily accessible from the Friendship Heights Metro Station.